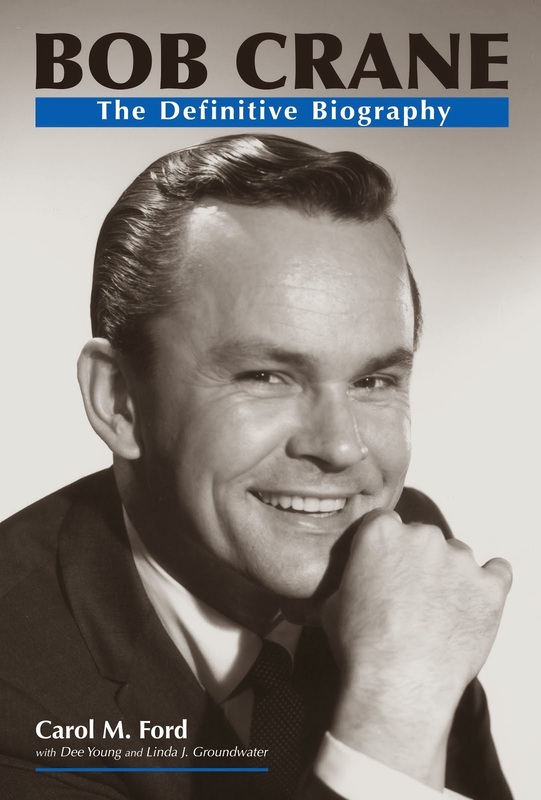 Bob Crane made countless public appearances during the height of his radio and acting careers. From grand store openings to charity events to military functions to awards ceremonies to parades, Bob was regularly called upon to take part in such occasions, and he routinely accepted the invitations. On Sunday, September 19, 1976, the 15th Annual Chrysanthemum Festival took place in Bristol, Connecticut. The festival, launched in 1962 as the Fall Festival and now affectionately known as the "Mum Fest," highlights Bristol's achievements and proud accomplishments. Crane, having worked at WBIS radio in Bristol in 1951, was grand marshal of the 1976 Mum Festival Parade and took part in the opening ceremonies. 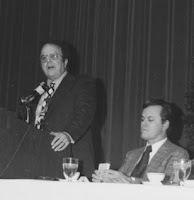 The previous day, the city of Bristol held a reception in his honor, during which the native Connecticut radio personality recalled his time at WBIS. "I worked right about where I'm standing now," Crane said. "WBIS radio was on the second floor, and a department store, Kresge's, was below, and I ate at Kresge's lunch counter" ('Hogan's Heroes' star recalls job in Bristol, 1976). Bob also spoke of his humble and meager beginnings, having lived in a boarding house during his early days in Connecticut radio and needing to keep perishable food items on the windowsill in the wintertime because he had no refrigerator. "My biggest problem was if the sun came out because in a day, I'd have sour milk. I used to play a couple of records, then run up the hill to check on my milk." It has been a common belief that Bob Crane was a lot like his character, Colonel Hogan, on Hogan's Heroes. During the Mum Festival reception held in his honor, Bob stated he was "a lot like the Hogan that is fun-loving, but I'm nothing like the Hogan that's a hero. I faint at the sight of a hangnail." As part of his role as grand marshal, Crane was presented with "a key to the city, three giant yellow mums from Mayor Henry J. Wojtusik, a clock from the Mum Fest Committee, and a hard time from a garland of mums he cut through to open the 15th annual festival" (30,000 watch Mum Parade, 1976). Since Bob had such difficulty cutting through the garland, 1976 Parade Master of Ceremonies Val McCormack joked, "You'd never escape from that prison" (Flaum, 1976). The 50th Anniversary of the Mum Festival was held on Sunday, September 25, 2011, in Bristol. Bill Schwab, who was the chairman of the 1976 festival, served as one of the 2011 parade's marshals and happily recalled meeting Crane, describing him as "charming" and "delightful" (Majerus, 2011). Mum Fest Parade goers in 1976 would agree. Smiling broadly, Bob Crane received enthusiastic applause as he led the parade through his one-time home streets of Bristol, Connecticut. To learn more about the Annual Chrysanthemum Festival in Bristol, CT, click here. 30,000 watch Mum Parade. (1976, September 20). The Hartford Courant, p. 16. Flaum, D. (1976). Actor leads parade. The Hartford Courant, p. 17A. 'Hogan's Heroes' star recalls job in Bristol. (1976, September 20). The Hartford Courant. p. 17A. Articles from The Hartford Courant are courtesy of Bill Dillane.